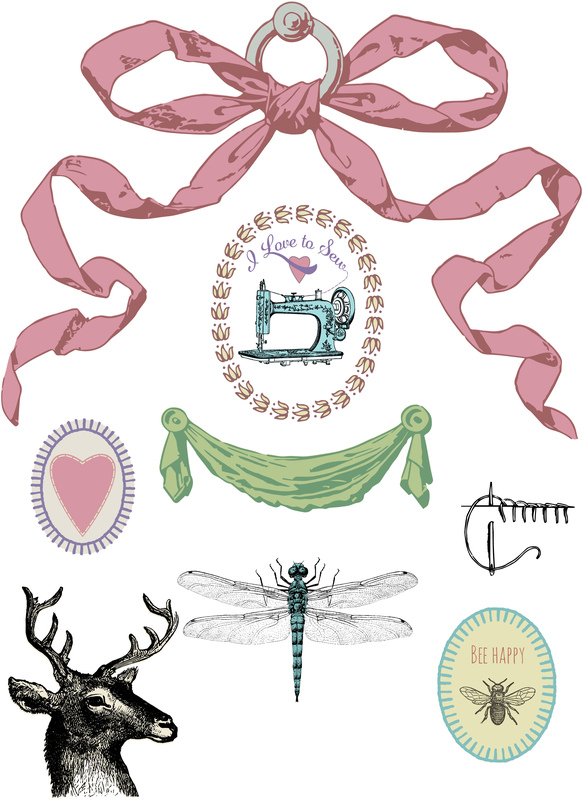 This mixed vintage set of printable clipart includes an oval border frame, sewing machine, stitching, stitches, a pink ribbon, swag, deer, dragonfly, heart and bee oval patch clipart. 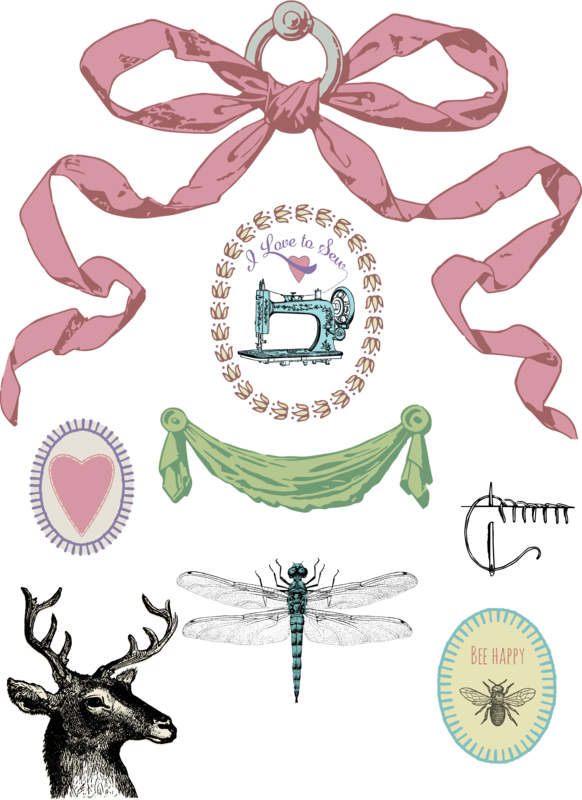 I will be posting a tutorial video soon on how to edit these the coloring of these files with free software. Thanks Lou Anne! Glad you like them. Png can have both background and no background. It is just an image format that *supports* a cutout shape however, not all images saved as png will necessarily have a cutout object as the image. Love these graphics! Thanks for sharing! Super cute!! thanks so much!